The reinforced panel around the cord adds stability. 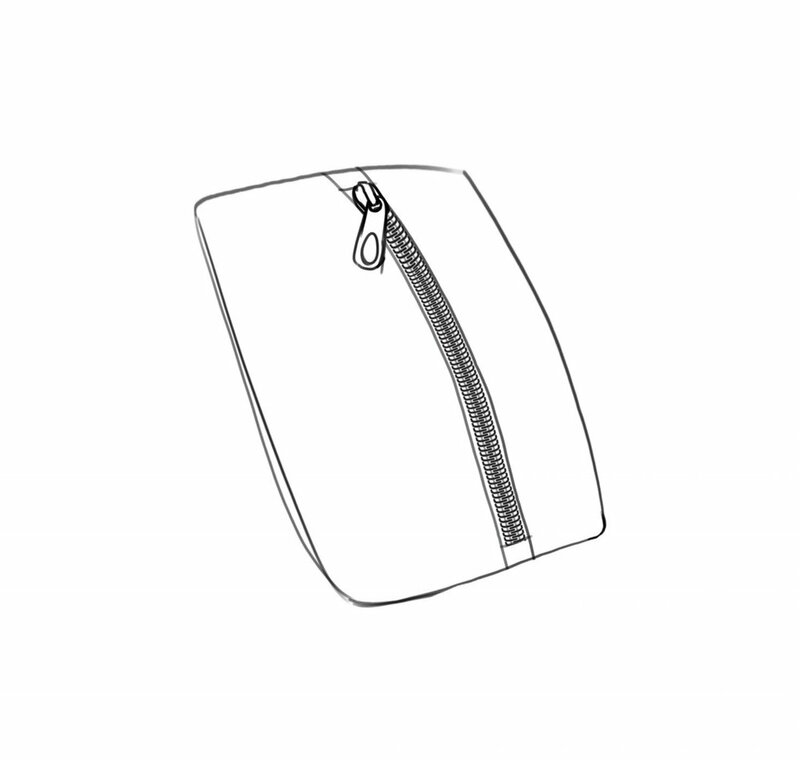 The bungee wraps around folded bag for easy packability. Classic packable silhouette to display patterns with new packable feature. Small size packable tote. The side zipper pouch flips inside out to pack the tote into. Initial sketches of 3/4 view. 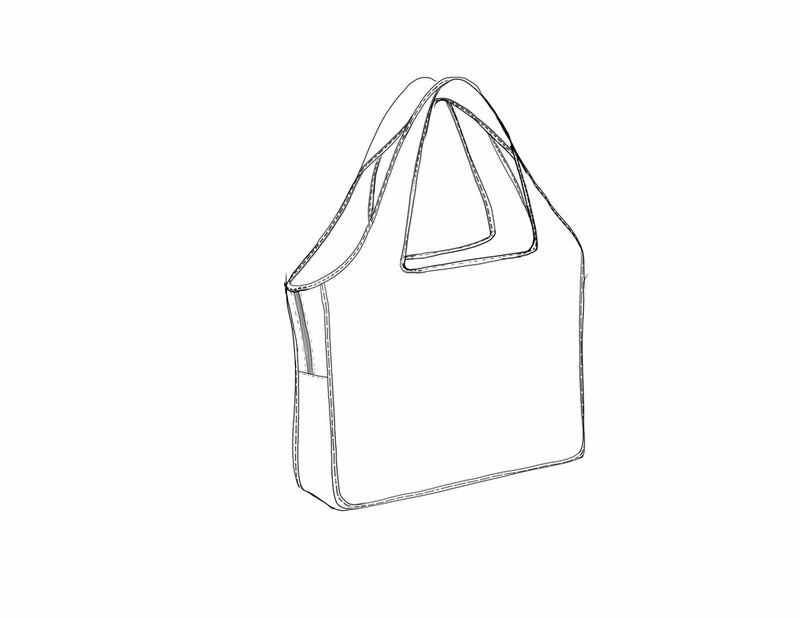 Medium size tote with interior drop pocket. 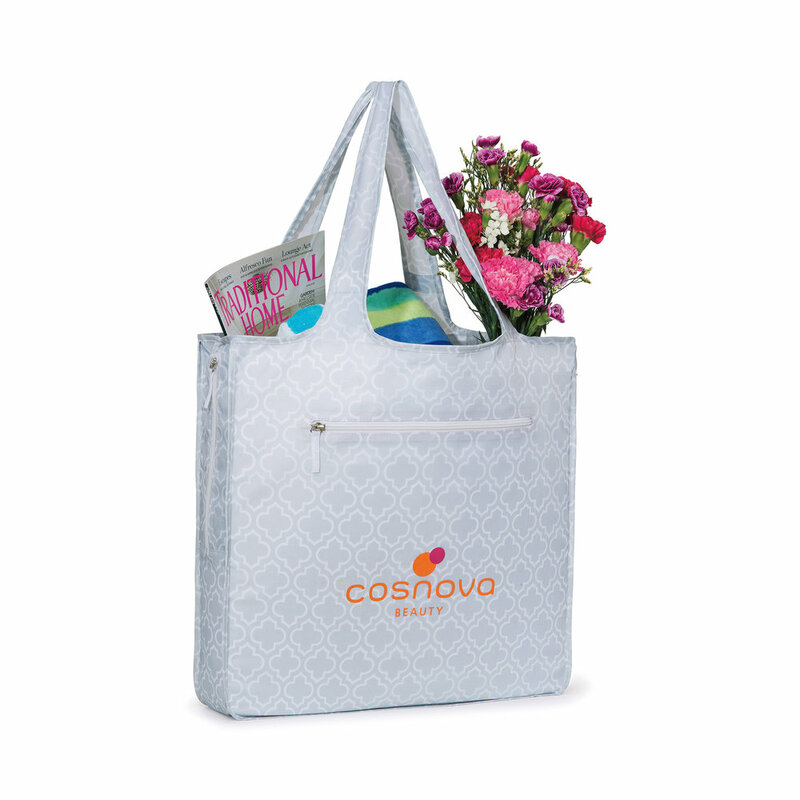 Deluxe sized tote with front zipper pocket and interior drop pocket. Perfect to throw into a suit case to use as a lightweight day pack while on vacation. Packs into front bottom pouch.